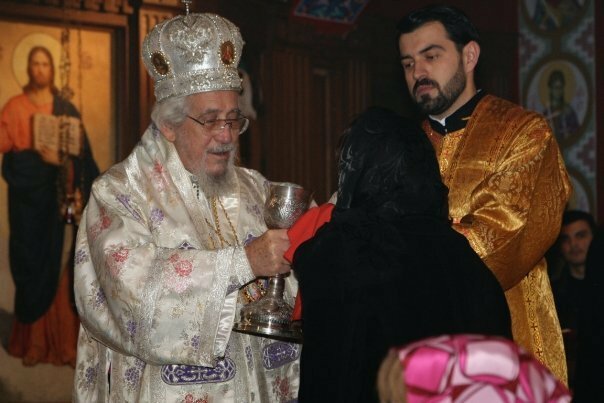 Libertyville, IL – With the blessings of the Episcopal Council of the Serbian Orthodox Church in North and South America, the fall semestar classes began at the Orthodox Theological Faculty of St. Sava in Libertyville on September 8, 2009. 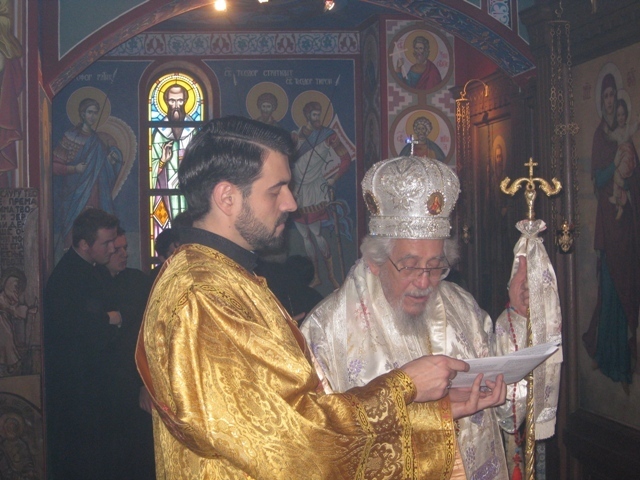 On Sunday, September 6, His Eminence Metropolitan Christopher of Libertyville-Chicago, the dean of the school, officiated at the Holy Hierarchical Divine Liturgy and afterward at the Invocation of the Holy Spirit, invoking God for a blessed and successful beginning of the new academic year. After twenty three years of continuous work, more than 90 students have successfully completed their studies at the St. Sava Theological Faculty in Libertyville. The majority of the graduates are ordained priests. In the new 2009/10 year five new students, who have previously completed Seminary, have been accepted. They are receiving free schooling, food and board in the faculty dorm together with the regular students. Accepted in the fresheman year are: Dragisa Bogicevic, Aleksandar Vuckovic, Djuradj Kojic, Djordje Novarlic and Boris Topic. Besides classes the students are expected to attend the daily church services at the St. Sava Monastery and with the parishes appointed them they are expected to take an active part in the life of the Church on this continent. 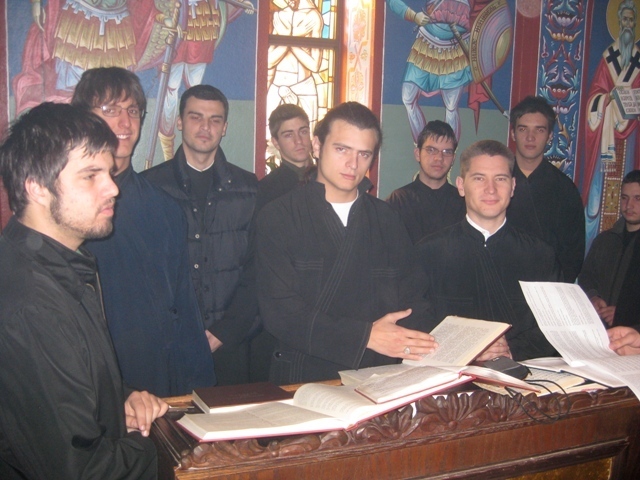 There are six graduates from last year: Ivan Bosic (Diocese of Zicha); Selimir Vagic (Diocese of Backa); Branislav Golic (Libertyville-Chicago Metropolitinate); Aleksandar Djordjevic (Diocese of Shumadija); Slavko Pavlovic (Diocese of Zicha) and Vojislav Stojanovic (Diocese of Zicha). Nearly all of the graduates will continue their studies and have already been accepted at the following schools for their post graduate studies: Holy Cross Greek Orthodox Theological Faculty in Boston, St. Vladimir's Orthodox Seminary in New York, St. Sergius Orthodox Institute in Paris and the Old-Catholic Faculty in Berne. The dean of the St. Sava Theological Faculty, His Eminence Metropolitan Christopher of Libertyville-Chicago, held a meeting with the teaching staff on Friday, September 11, 2009. Attending the meeting were: His Grace Bishop Dr. Mitrophan of Eastern America, professor of the New Testament and His Grace Bishop Dr. Maxim, professor of Patrology.